Compressive sensing (CS) aims at reconstructing high dimensional data from a small number of samples or measurements. In this paper, we propose the minimization of a non-convex functional for the solution of the CS problem. The considered functional incorporates information on the self-similarity of the image by measuring the rank of some appropriately constructed matrices of fairly small dimensions. However, since the rank minimization is a NP hard problem, we consider, as a surrogate function for the rank, a non-convex, but smooth function. 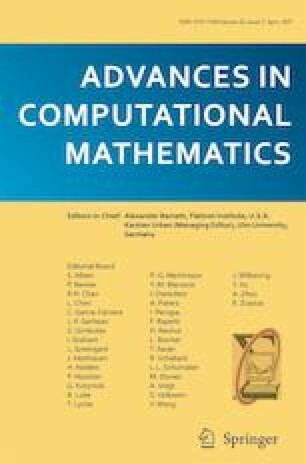 We provide a theoretical analysis of the proposed functional and develop an iterative algorithm to compute one of its stationary points. We prove the convergence of such algorithm and show, with some selected numerical experiments, that the proposed approach achieves good performances, even when compared with the state of the art. The authors would like to thank the editor and the anonymous referees for their insightful comments that greatly improved the readability and the general quality of this paper. The work of the first and the fourth authors is supported by 973 Program (2013CB329404), NSFC (61370147). The work of the second and the third authors is supported in part by MIUR - PRIN 2012 N. 2012MTE38N and by a grant of the group GNCS of INdAM.